Feeling scatterbrained? I’d suggest taking a look at your surroundings. Most people overlook the fact that mental clarity and environmental clutter go hand in hand. When our personal space gets chaotic, our ability to maintain focus is jeopardized. Decluttering brings back our sense of balance, control, and organization. So, what are you waiting for? Use this guide to clear out old energy and create space – physically and emotionally. If you’re wondering how to start this process, think about areas of your life that could use some purging. Where do you tend to accumulate clutter? 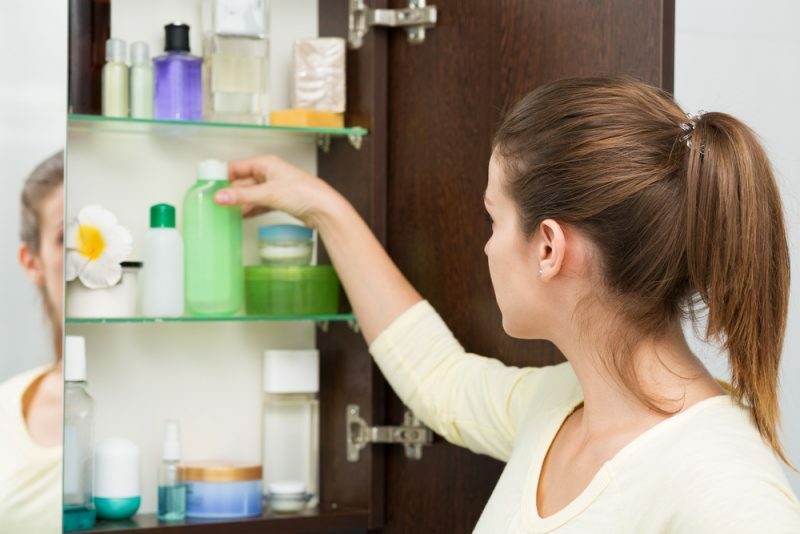 For many people, the answer lies in their bathroom, closet, kitchen, and dresser. Try to use the ‘golden rule’ as you sift through – If you haven’t used it in the past year (or six months if you’re feeling extra cutthroat), it has to go! Stay positive and let the decluttering experience be satisfying rather than overwhelming. Are you feeling scatterbrained? I’d suggest taking a look at your If your passengers are having trouble finding leg room in your car, it’s probably time for a little spring cleaning. Cars tend to accumulate a ton of junk and garbage over time, especially for those who commute to work. Whether your vice is coffee cups, takeout food wrappers, shoes, or old mail – It’s all gotta go! 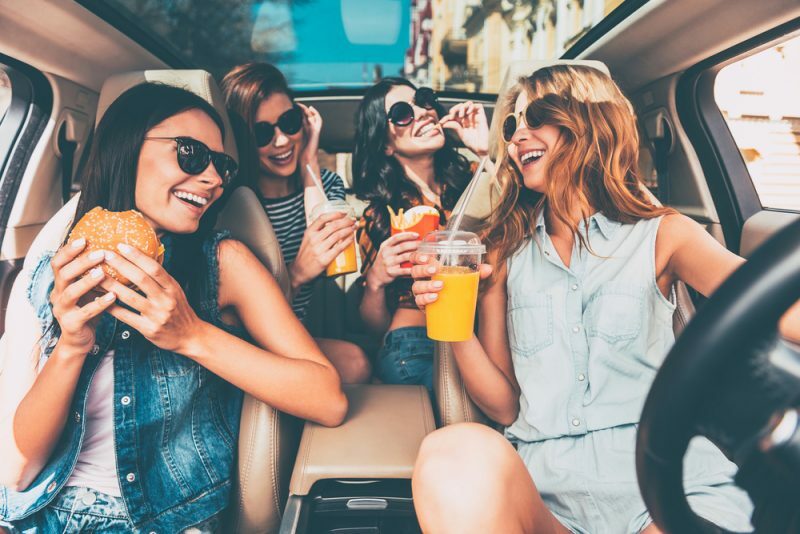 Tidying up your primary source of transportation will make your commute more peaceful and your passengers more comfortable – That means no more apologizing for the embarrassing state of your car! The best part is that once you do a deep clean of your vehicle, it’s excellent motivation to keep it that way. Cup holders are guilty of holding more than just cups. 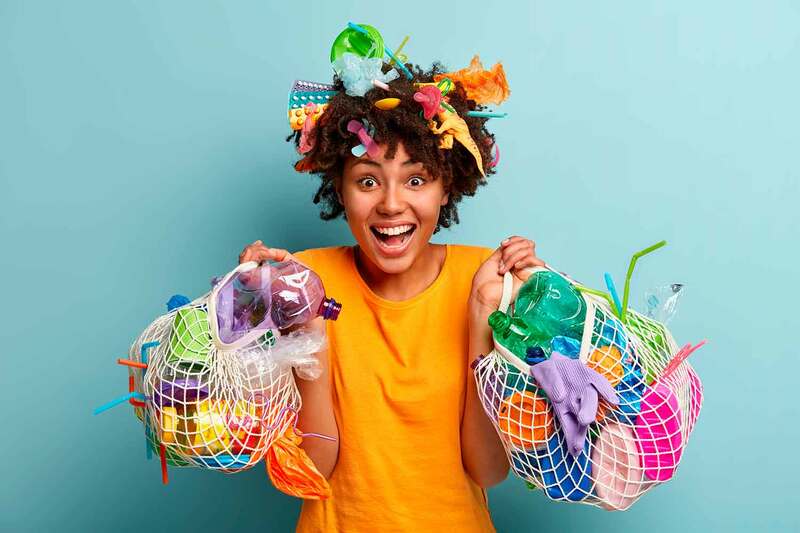 Whether yours are filled with empty Starbucks mugs, rogue chapsticks, or loose change – It’s time to make those areas available for fresh beverages again. For some reason, the center console seems to be a breeding ground for random knick-knacks. The glove box was once a space for important documents, but usually gets cluttered by nonessential paperwork. Has your backseat become a playground for sports equipment and rogue clothing? Reorganize and find new homes for your things so the backseat can be used to accommodate passengers. The trunk collects things over time and essentially becomes just a mobile storage spot. Where do all those fast food receipts and granola bar wrappers end up? The car door side pockets, of course. It’s a little sad how common this clutter is, but expired goods quickly add up around the house. If you think you’re immune to this one, think again. Take a good look around, and I guarantee you’ll be surprised by what you find. A great way to avoid the accumulation of expired goods is to check and reorganize consistently, leaving no stones unturned. A good place to start when looking for expired food is in the back of the refrigerator. Don’t believe me? Go look for yourself! Yes, vitamins and medicines do have labeled expiration dates. Check your vitamin cabinet for expired products. Although the pantry contains mostly non-perishable foods, you should always weed out stale chips and crackers or any foods that can expire. We know you had every intention of using that charcoal face mask you bought five years ago, but that time has come and gone. Free yourself from the clutter of beauty products that will either never get used or haven’t been used in ages. Headbands from high school? Gone. Terrible- smelling body wash that you spent a fortune on? Sorry, but see ya later. Clear your shower caddy of any unused or empty shampoos, conditioners, body washes, razors, and soaps. The bathroom often gathers hair accessories, products, and other unnecessary beauty products. Remember: If you haven’t used it in a year, get rid of it. A lot of makeup expires after 6 months, so go through your makeup bag with a fine-tooth comb. We all have that pair of pants we hope to squeeze back into someday, or maybe it’s the hat you’re just waiting to dust off for the right occasion. Our drawers and closets easily become overwhelmed with garments throughout the years as our taste in fashion evolves. Fortunately, there’s a ton of consignment shops just waiting to pay for your previously-loved clothes. Stick to your guns and get rid of the stuff you never wear to make room for a fresh style! Be tough and honest with your choices – Only keeping what you’ll actually wear and get use of. 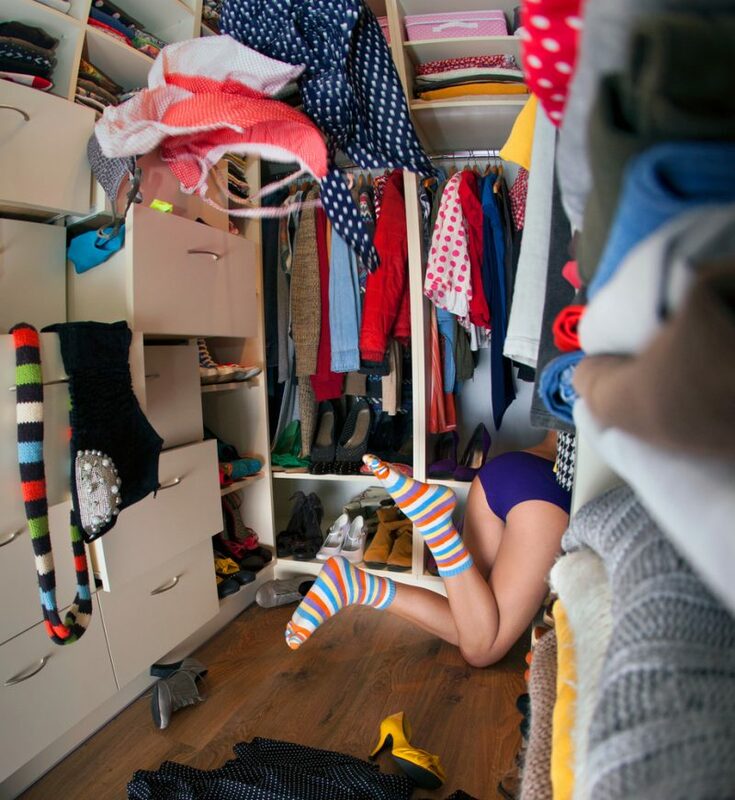 Perhaps the most obvious piece of clothing that needs to go – Socks missing their mates. It’s a sad story, but they will likely never be found. Any clothes that you like (or just like the idea of) but never wear should be donated to make room for a new wardrobe. When you get a new bathing suit, let go of an old one that’s had its day. It can be hard to part with shoes that were once your favorites, but when they start to lose their sole, it’s time to say your goodbyes. Hats, belts, and jewelry – Sift through it all! 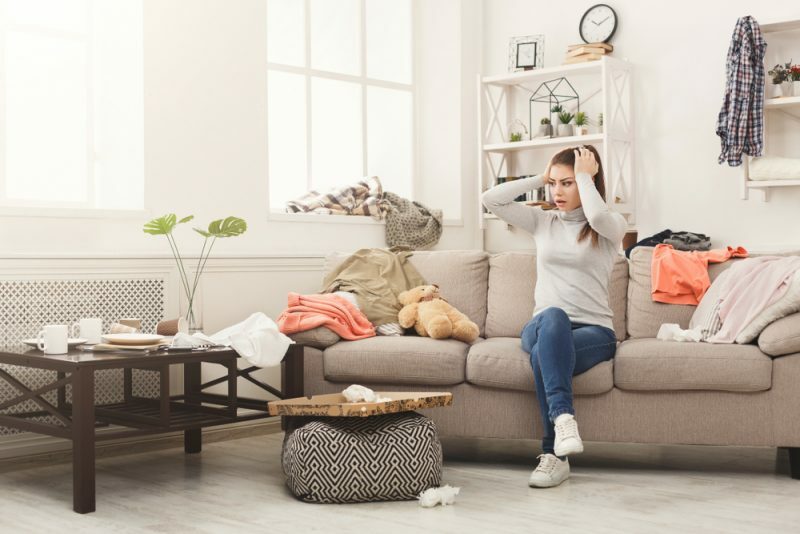 Even the clutter kept outside your home has the power to negatively affect your quality of life. Simplify your home’s exterior so when you pull up you feel calm, not stressed. Doing so will also open up space for entertaining friends and family. Check your shed and garage for anything that’s just taking up room. Outdoor toys for children are great, but if they aren’t being used they should be passed on to another child. Holiday decorations bring a certain warmth to our hearts – However, they can get a bit out of hand at times. So maybe you went on a cleansing kick two summers ago and actually used that old juicer, but that was then and this is now. 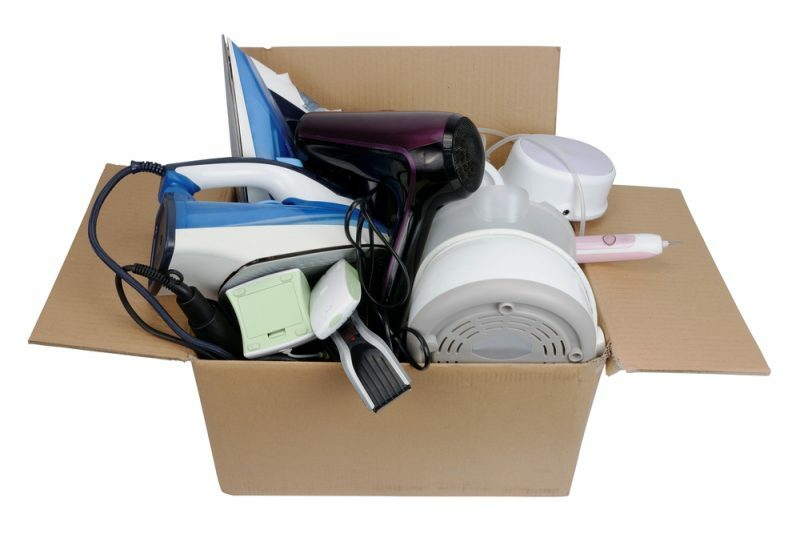 It’s time to accept defeat and move on with decluttering the appliances you don’t use (or hardly ever use). Look around your kitchen – Do you have multiple appliances or ones that never get used? Check around the rest of your house for rarely (or never) used or broken appliances such as irons, sewing machines, fans, and vacuums. When you’re cleaning supplies need cleaning you know it’s time to declutter. I’m sure you had great intentions when you bought them, but after several years, many products lose their potency and become far less effective. 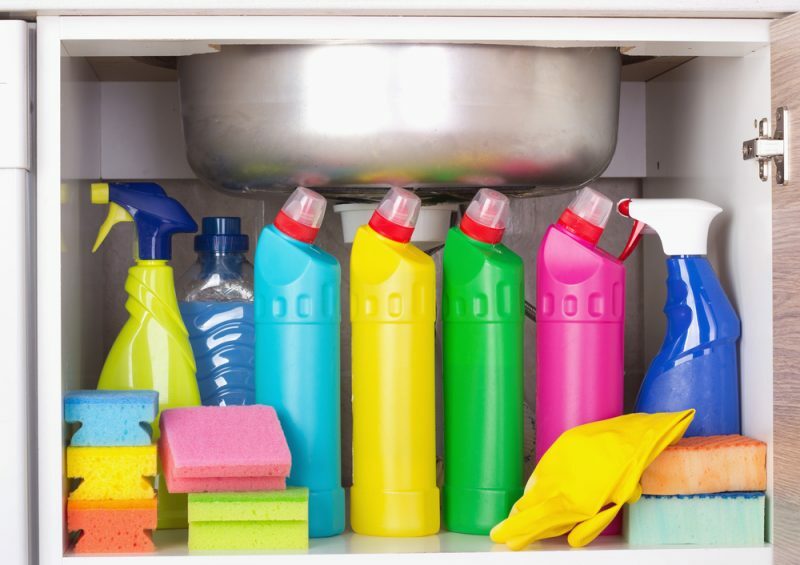 Getting rid of dated cleaning supplies will free up some valuable space in your home. Under the kitchen sink is a great place to start when looking for old cleaning supplies. Next, move to the bathroom and see what’s under the sink there. Alright, we all have one or two (Ok, maybe three or four) drawers where random things just seem to accumulate throughout our home. Often times these drawers keep the clutter hidden, but they quickly become overloaded and hard to keep shut. Why is it that living room end tables seem to collect so many random little things? We don’t have the answer to that question, but cleaning them will help keep your commonly-used space looking and feeling tidy. We all have a different assortment of things on our bedside tables, and most of its unnecessary. 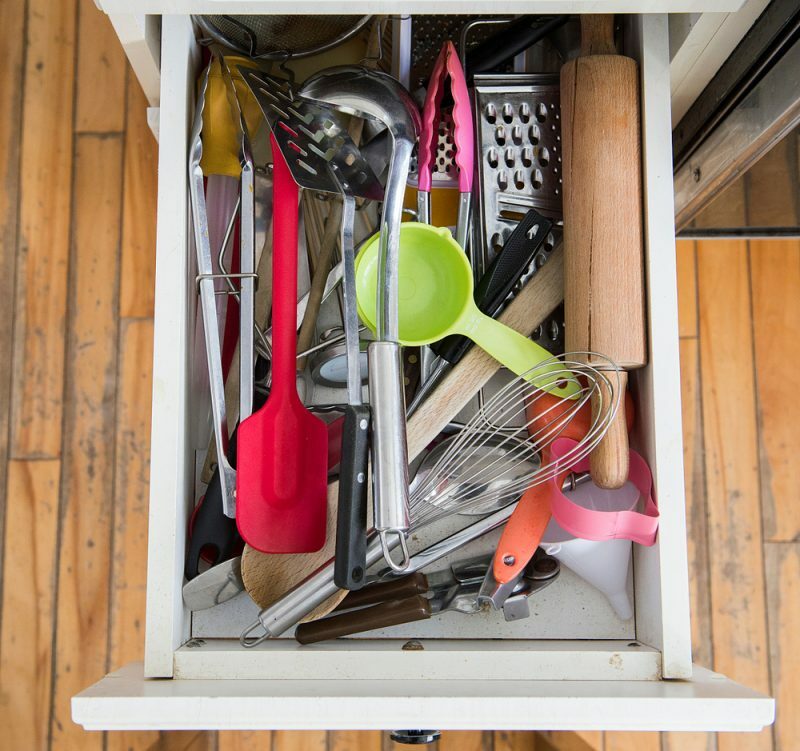 There’s always that one kitchen drawer that serves as a catch-all. Give that drawer a new purpose! Most of us don’t have space for a full in-house library, so maybe it’s time to get rid of some old reading material and utilize the town library instead. I’m not saying you should purge all your favorite classics, but consider donating the books you don’t hold near and dear. An obvious place to start – Your bookshelves. 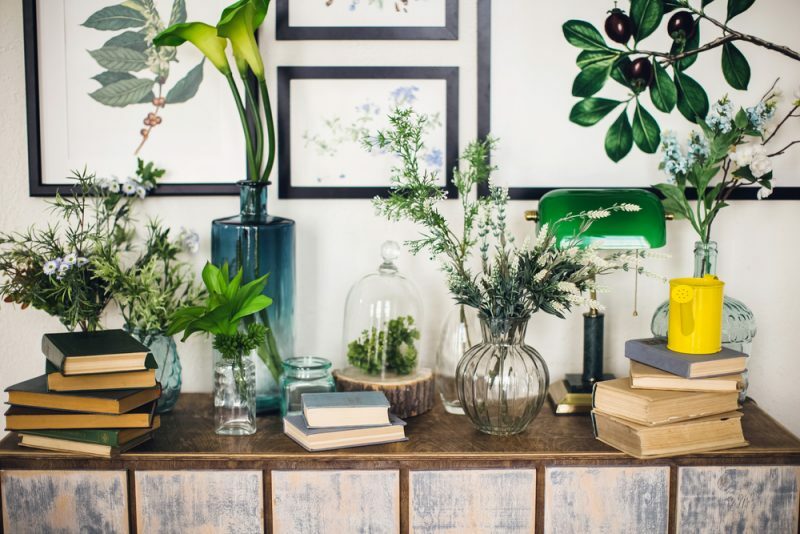 The coffee table is a great place for showcasing books and magazines as conversation pieces, but keep it to a minimum. Bathroom reading material is great, but nobody needs to read a People Magazine from ten years ago. 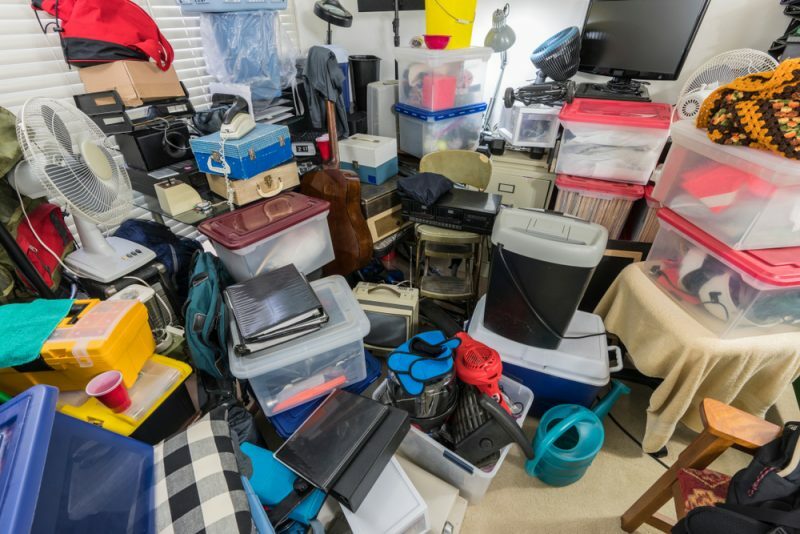 Now that we’ve already weeded through the appliances, junk drawers, cleaning supplies, and expired goods in the kitchen, you may be wondering what else could possibly be cluttering this space. Well, we can’t forget about those plates that haven’t seen food in years or the silly mug you got as a gift but never use. It’s time to clean both the deepest depths of your cupboards and the places right out in the open to leave your kitchen ship-shape. Oh, the old tupperware drawer – How I loathe thee. If it’s missing a lid, get rid of it once and for all. Plates, bowls, mugs, cookware, glassware, silverware – I know we need it to eat, but do we need all of it? Pictures and magnets on the refrigerator are cute, but don’t let it get too chaotic. Countertops accumulate everything from junk mail to food scraps – Clean it all up! Broken cell phones and scratched DVDs had their time, but it’s time to go – And don’t even get me started on that old Walkman. Sure, some technology holds emotional significance and monetary value, but most of it just takes up space. Maybe you were hoping to sell your used headphones for a few bucks, but if it’s been a year and they’re still just hanging out, they need to go. 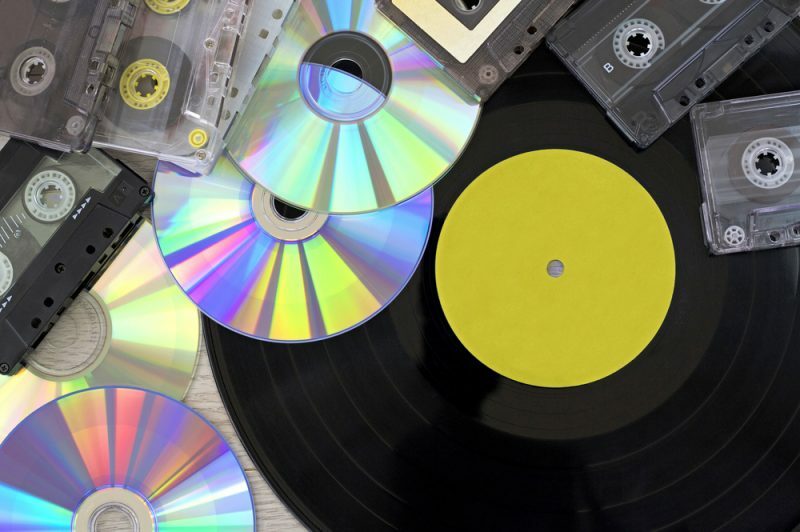 If you don’t have a means to play your CDs anymore, it’s time to say bye-bye. DVDs are slowly becoming obsolete, but VHS tapes are done and gone. Don’t let this project stress you out. If you work best tackling small portions at a time – Do that! There’s no hurry to get it all done at once; take your time and be thorough. If you’re choosing to donate your things, find motivation in creating a large pile for someone else to enjoy. After it’s all said and done, you’ll feel a greater sense of clarity in your newly cleansed space. Happy decluttering!